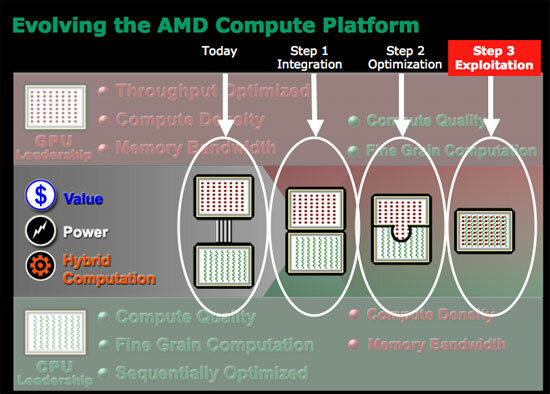 Ever since the arrival of Conroe back in 2006, we've only really recommended AMD for its (sometimes incredible) value. Recommending AMD for those looking for absolute performance pretty much ended when the Pentium 4 retired. 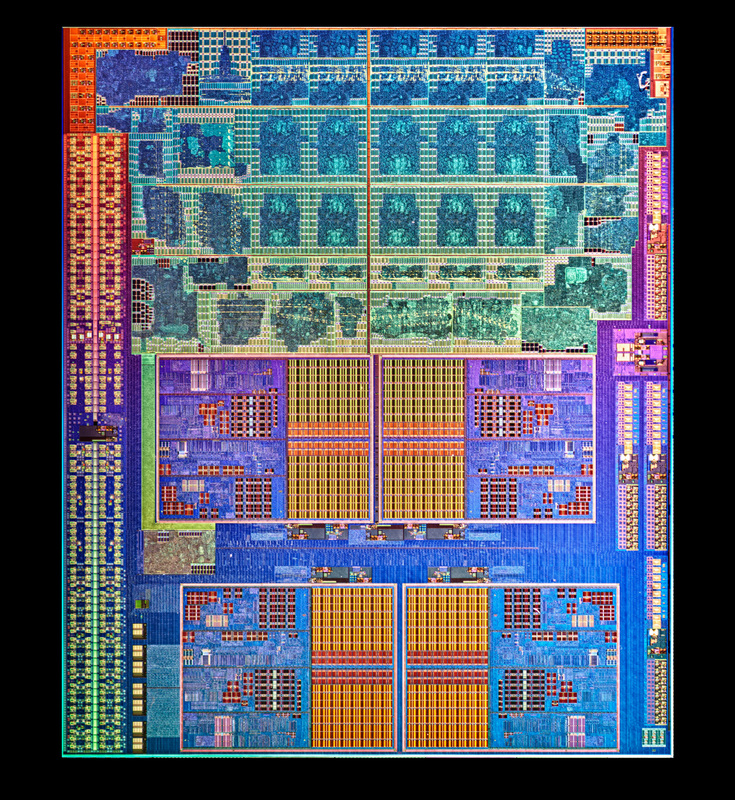 Llano is AMD's second Fusion APU, the first being Zacate which we met earlier this year. Llano shouldn't be all that unfamiliar to you either, the notebook version of the APU launched just two weeks ago. Our conclusions were as you'd expect: sub-par x86 performance but competitive battery life and great gaming performance for a value notebook. If gaming is going to be the most intensive thing you do on your notebook, you may find yourself wanting one based on a Llano APU. Now it's time to look at Llano on the desktop. We previewed the desktop Llano alongside the mobile version but today we're back with much more detail. This article will focus on the basics: CPU performance, GPU performance and the associated details. 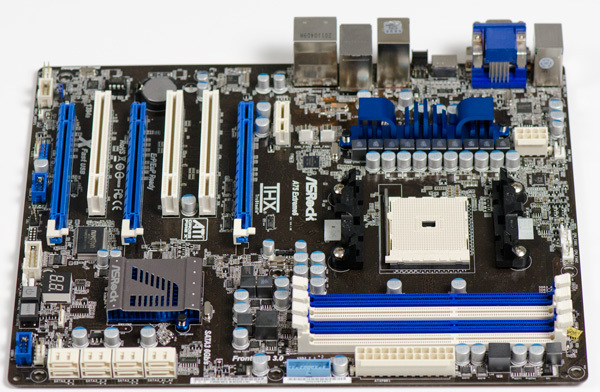 Ian has a final review of one of the first desktop Llano motherboards - the ASRock A75 Extreme6 as well as a look at overclocking the new desktop APU. Finally Ganesh's article takes an in-depth look at how Llano works as an HTPC platform. Although mobile Llano has to worry about fitting into thin and light notebooks, the desktop version has a lot more breathing room and as a result it comes to us in a pretty traditional package. Motherboard backwards compatibility is thrown out the window as you need pins to get video output from the APU to an on-board VGA/DVI/HDMI header and as a result we have a new platform: Socket-FM1. Despite the socket change, heatsink specifications haven't changed. All existing Socket-AM2/AM2+/AM3/AM3+ heatsinks should work just fine as long as they can handle the rated TDP of the chip you're cooling. AMD A8-3800 Radeon HD 6550D 65W 4 2.4/2.7GHz 400 600MHz $?? AMD A6-3600 Radeon HD 6530D 65W 4 2.1/2.4GHz 320 443MHz $?? The A8-3850 and A6-3650 are going to be the first Llano APUs available, both carry a 100W TDP rating. While this may seem high, do remember that 100W is for the CPU and GPU combined. Although Llano does support AMD's new Turbo Core technology, neither of the parts launching today have it enabled. The A8-3850 and A6-3650 run at 2.9GHz and 2.6GHz, respectively. 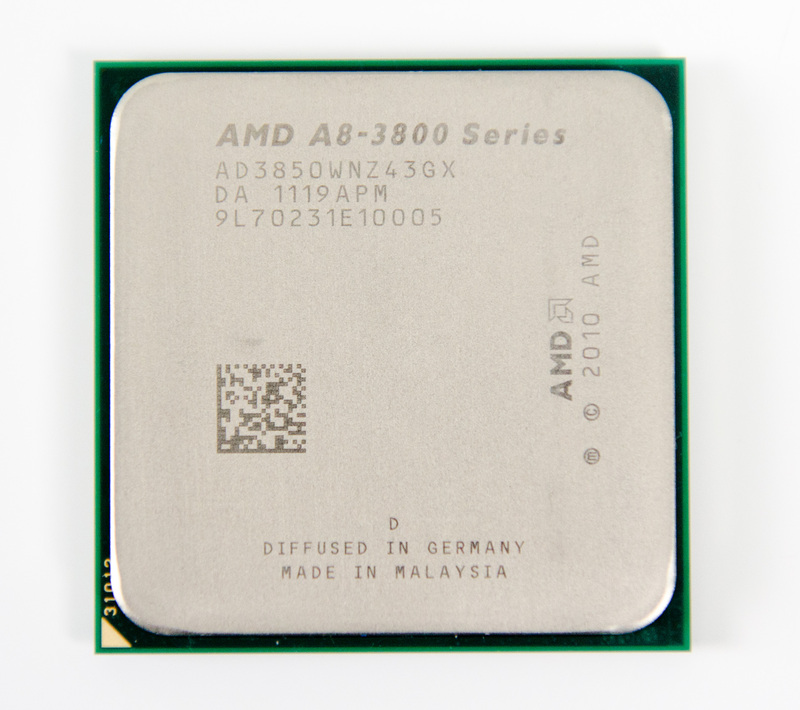 The 3800 and 3600 will drop base clock speeds to hit a lower TDP but allow you to turbo up depending on workload. For an explanation of how Turbo Core works, flip back to our mobile Llano article. Architecturally desktop Llano is no different than its mobile counterpart. These are all quad-core parts with updated 32nm cores, boasting a ~6% increase in IPC over their 45nm Athlon II predecessors. 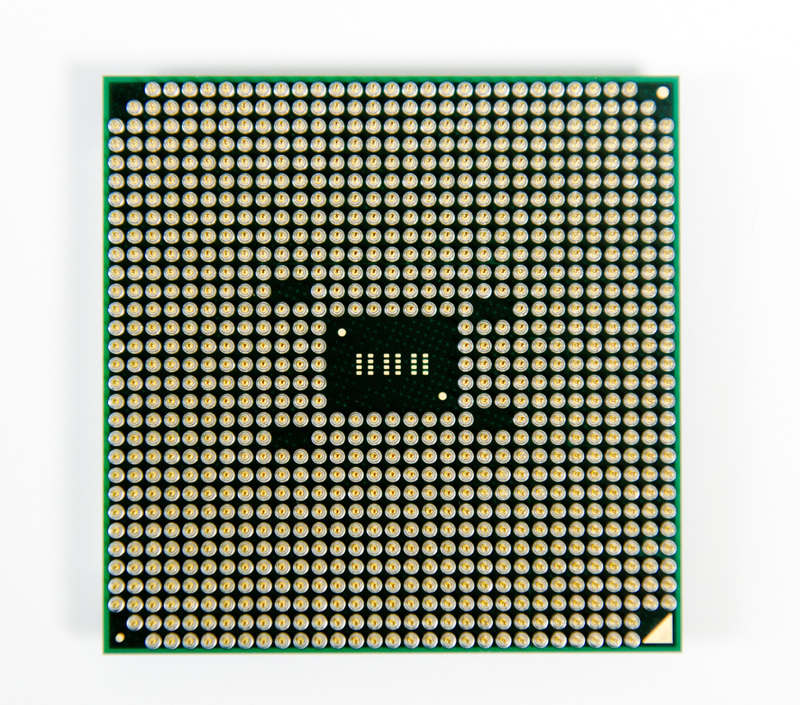 Each core has a private 1MB L2 cache for a total of 4MB per quad-core APU. 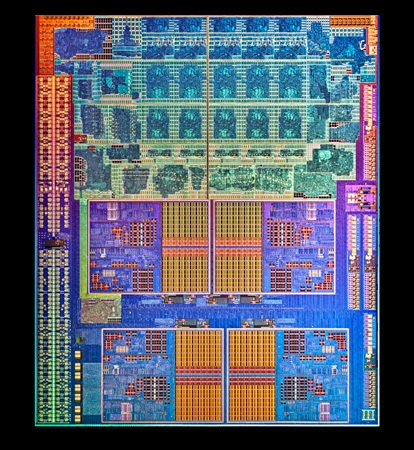 The GPU side isn't different architecturally either, you're still looking at a Sumo core derived from AMD's Radeon HD 5570. Desktop Llano is available with either 400 GPU cores or 320 cores (you can get the mobile part with only 240 cores enabled as well). 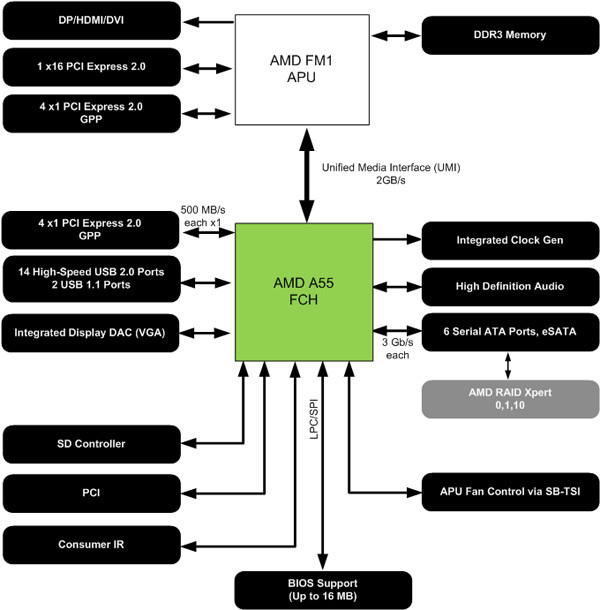 While the mobile parts top out at 444MHz, the extra TDP available in a desktop chassis allows AMD to ratchet up the GPU clock to 600MHz for the A8-3850. but for desktop its a mixed review....i think the bulldozer family apu..which is the real desktop apu variant must come into picture, for a face to face comparison with the intel counter part ...phew we have to wait another 4-5 months for that i guess. -Thank you for the nice review, but would you add image quality (IQ) comparison as well? From what I found around the internet, Intel HD 2000/3000 still lacking competitive/comparable quality of the rendered images. So, it would be better to show what's the actual IQ the user will see even when the frame rate (FPS) looks like it's playable. -Wow, what a quick reply, thanks! -Hmm, Anand said you're covering HTPC scenarios, right? So would that mean video (output) quality only? Or that will include 3D games as well? Just kiddin', my laptop is 17" too ... 17" of eye-killing 1920*1200 madness.